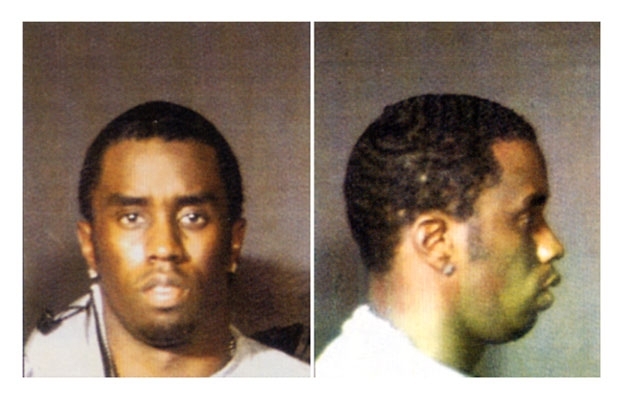 Music producer P. Diddy, Puffy, Diddy, Puff Daddy, Puff (real name: Sean Combs) was arrested by the NYPD in December 1999 and charged with possession of a firearm following a shooting at a Manhattan nightclub. Police pulled over Combs, who was fleeing with an entourage that included his then girlfriend Jennifer Lopez, and found a gun under the front seat of his Lincoln Navigator. A jury found him not guilty in March 2001.